While Mac offers a great operating system, some users may need to switch to Windows or other operating systems for system compatibility or other purposes. 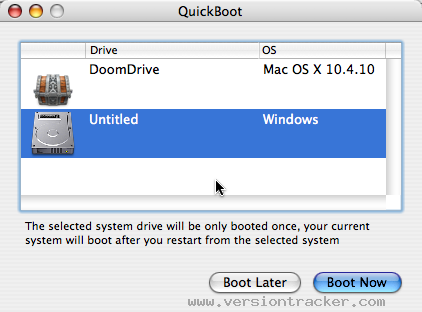 With QuickBoot for Mac, users will be able to switch from their Mac OS to another system drive by selecting the drive or partition from the menu bar. Scan and analyze your system and drives for problems. Show and hide hidden and system files in Mac OS X Finder.